I Think I’m Outgrowing My String Lights—Now What? I noticed I had been angling my phone a specific way when taking photos of my room for Instagram: camera high, then pointed very subtly, almost imperceptibly downward. I didn’t want my string lights in the frame. I first started using string lights in my bedroom back in high school, when I decided to wrap my Ikea Leirvik bed frame with a simple strand of white (wire and bulb) holiday lights. The effect positively romanticized my teenage hideout, making my Victorian-inspired Delia’s bedding look glamorous and granting a soft glow to my 2 a.m. calculus study sessions. My search for a colorless strand (aka, lights without typical green holiday wires), had paid off. This precise style eventually made it to my college dorm and my apartments that followed. I have the same kind of lights in my room now—a basic strand, which I’ve strung amid the gallery wall above my bed. I have a visceral reaction to most overhead lighting (in particular, the kind that’s virtually guaranteed in a New York City apartment), and this affordable alternative creates a warm atmosphere that feels perfectly welcoming on dark winter days when I don’t get enough natural light and at nighttime when I’m relaxing and reading a book. Eventually, though, I became self-conscious of them: Was it too childish to keep a room accent that I’ve sworn by since I was in middle school? The short answer: No. If preconceived notions about what you should or shouldn’t have in your home detract from the joy your space brings you, then by all means, don’t follow the “rules.” If, like I did, you want to keep something you love while also upgrading a bit, it’s totally possible to do so. According to Whitney Leigh Morris, author of Small Space Style: Because You Don’t Need to Live Large to Live Beautifully and owner of the Tiny Canal Cottage, when it comes to string lights, elevating your style is easier than you’d think. Of course, not all string lights are the same. Back in high school, I was perfectly satisfied opting for white holiday lights, but now, there are so many more options on the market that look even better. “It helps to consider the wires the way you’d consider a frame when you’re custom-framing a piece of art,” advises Morris. “That’s really going to bring out fixtures and accent colors in your space if you use them wisely.” Now, you can easily find string lights with copper wires, along with white or black options, and if you want to get really creative, you can even consider wrapping your lights (safely!) in twine. Bulb shape is up to your own personal taste, but it can be fun to shift away from a traditional holiday light style. Simple globe bulbs can suit practically any style, and Edison bulbs offer a more dramatic appeal. If you’re using several strands, though, just be mindful of the strands you mix and match. In my rental apartment, I use Command hooks specifically made for string lights to keep mine right where I want them, but I’ll admit that slightly nicer hardware would make my setup a bit more refined. My lights do currently frame my bed in a way that makes sense, and according to Morris, finding the right space for your lights can make a bit difference. Depending on where your outlets are and where you’d like your lights to be situated in your space, a little extra effort may be required. “Consider where you want the lights to start and end,” she says. “If you want it to be more refined, look at having an electrician run a wire up or use a wall-colored extension cord and use anchors to make it look neater, and then maybe mask that with a plant.” A properly anchored extension cord, I now realize, can be a game changer. Here’s the most important thing to remember: Your decor should make you happy, and if a lot of twinkle lights spark the utmost joy, then go all-out. Getting creative with this lighting option can also result in some practical benefits too. “I love string lights because they allow you to work in any size or shape of space,” Morris says. “Frequently, in a lot of tiny spaces, it’s hard to use pendant lighting because it’s too bulky for low ceilings, and it can also be hard to use table or floor lamps because they eat up inches you need when you live in a small space. 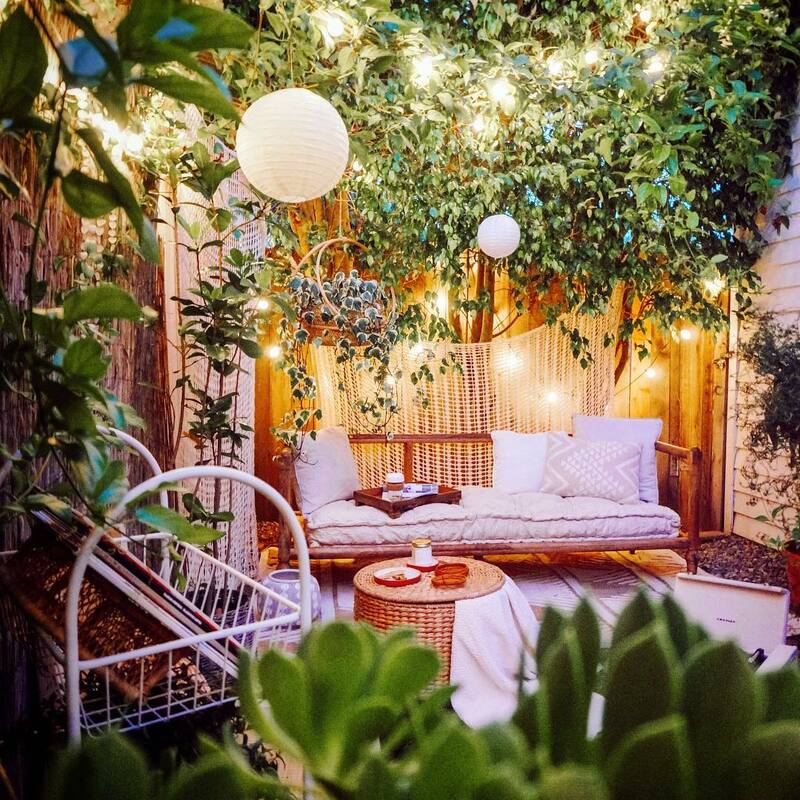 String lights are welcoming and accommodating of any size space—whether you live in a closet or a football field.” One unexpected use? Morris keeps small, battery-powered string lights in a basket that she can use as a nightlight or reading light at a moment’s notice. I realize now that I had gotten so in my head about whether string lights were “refined” or “mature” that I negated the fact that they made me happy. No other lighting option has the same effect—after all, as Morris notes, they’re like “candlelight, champagne, and a hug,” all mixed together. They make my room feel like home, and now, I won’t be getting rid of them anytime soon, but I think I will invest in some nicer wall hooks and a brand-new set of globe-shaped lights instead.